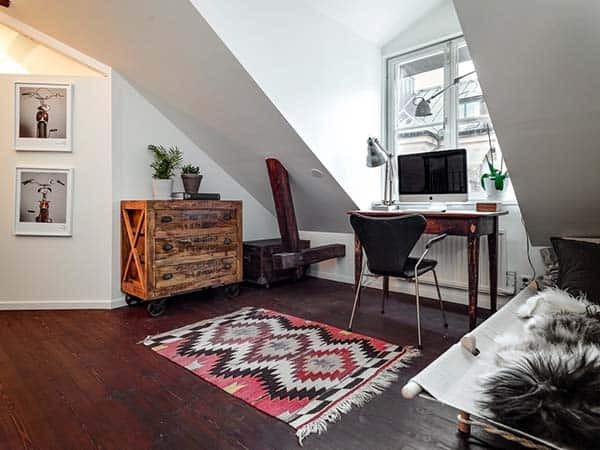 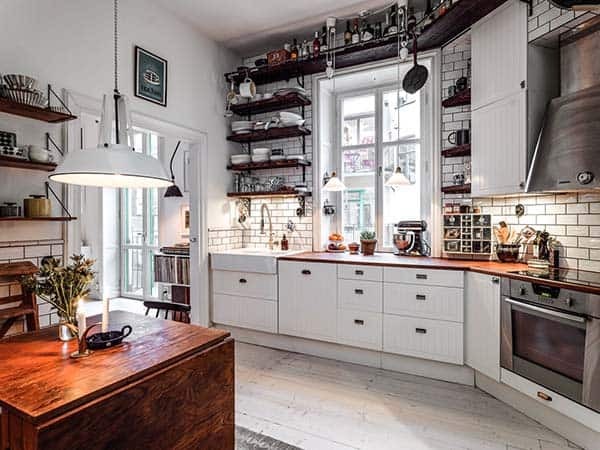 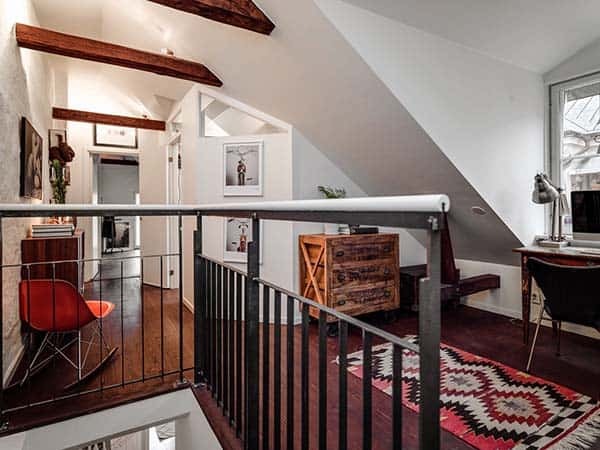 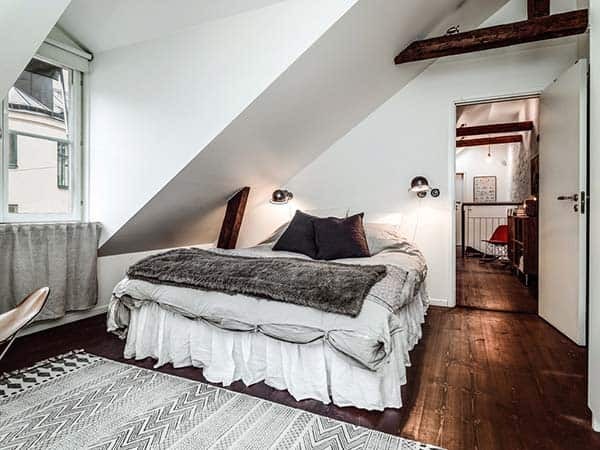 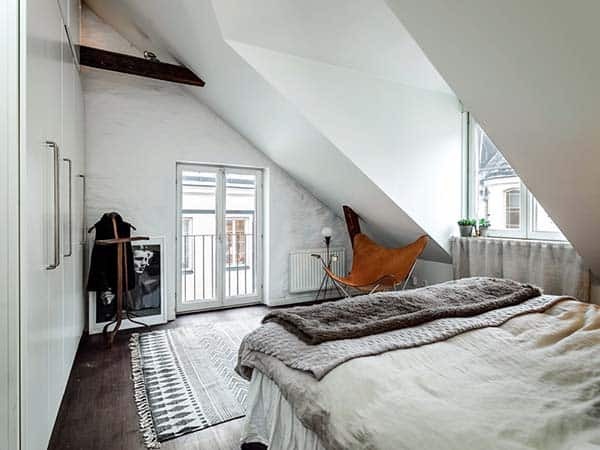 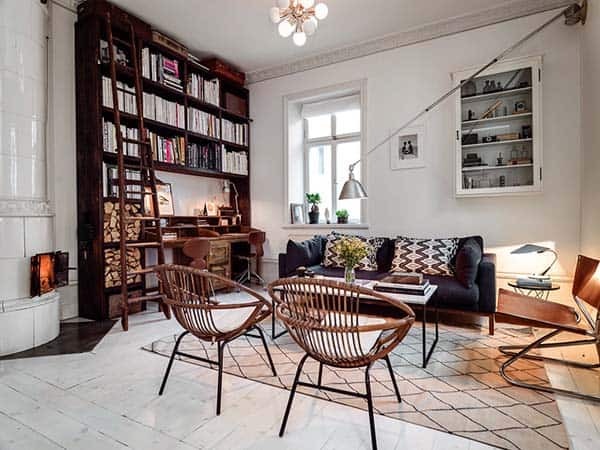 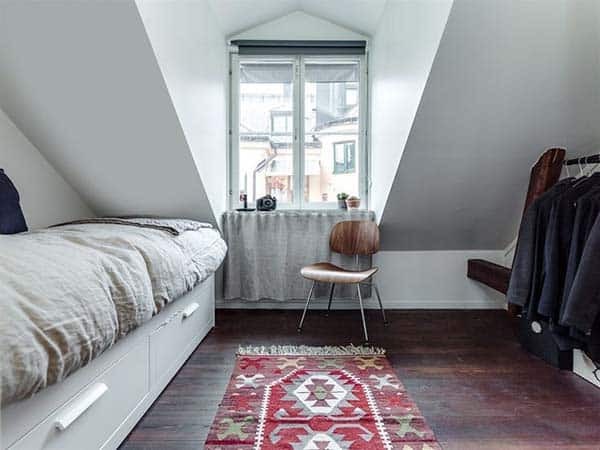 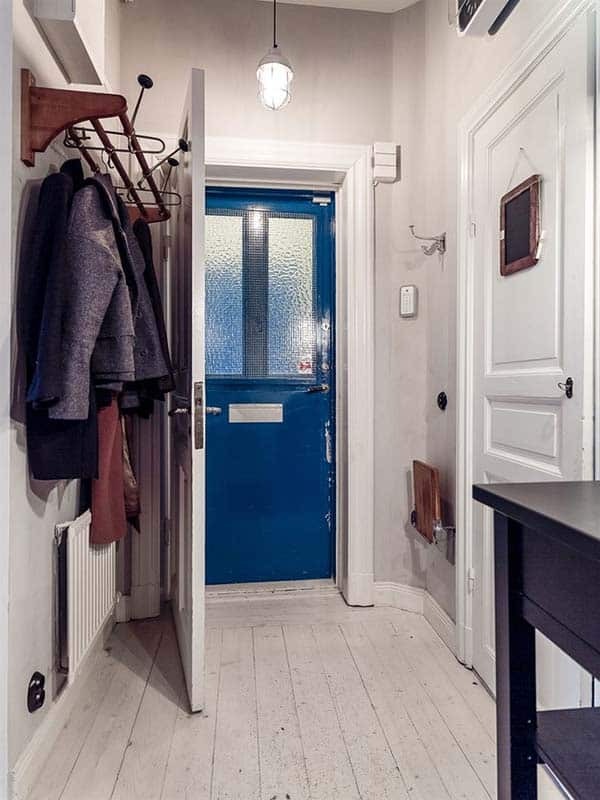 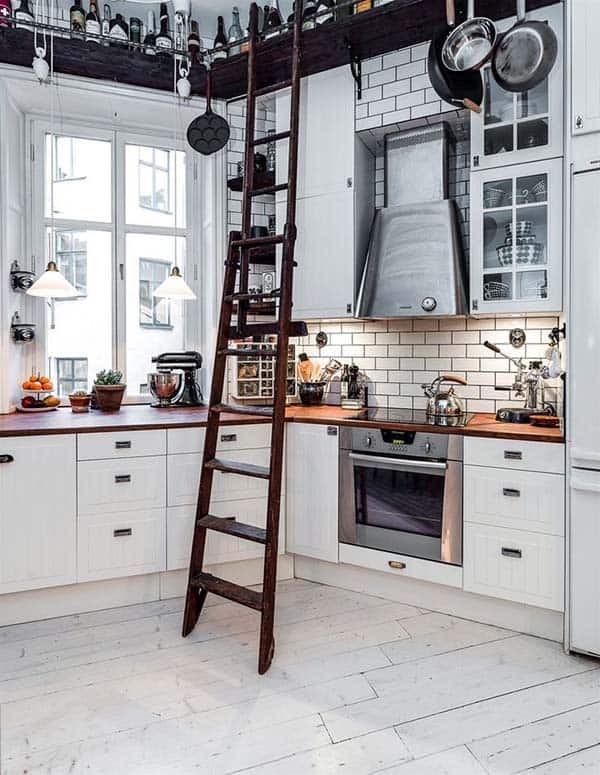 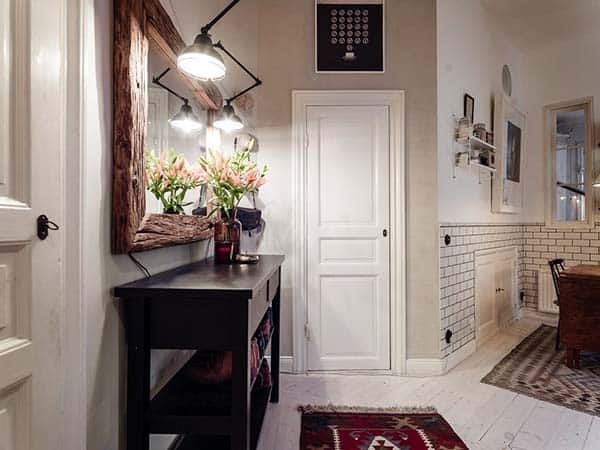 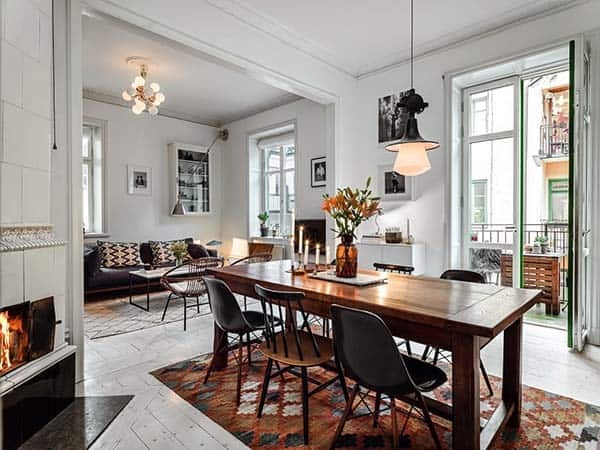 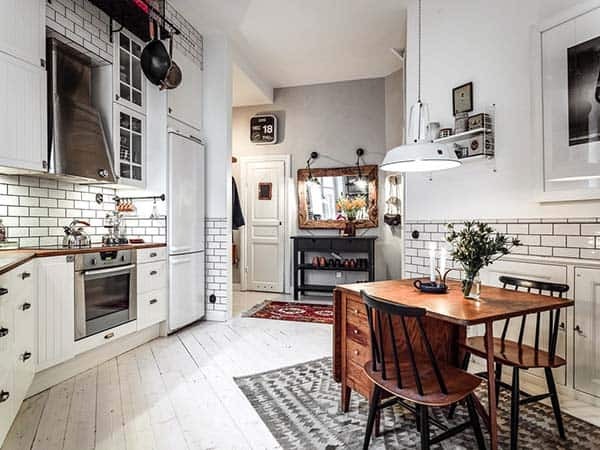 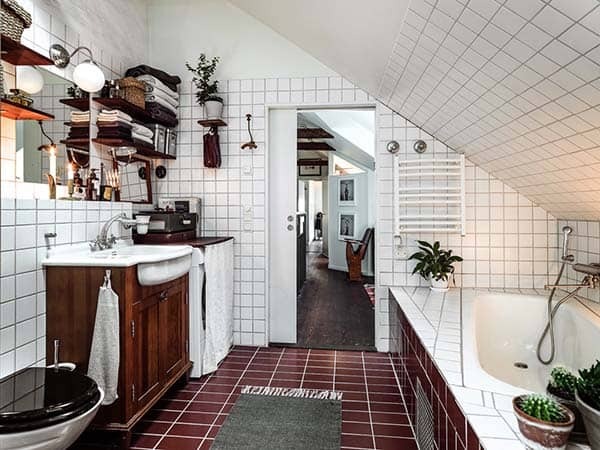 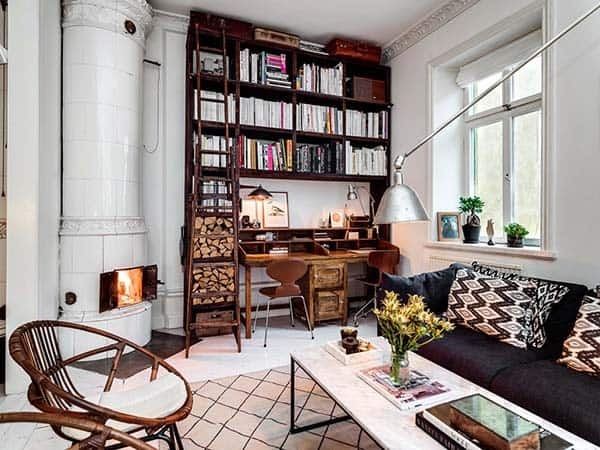 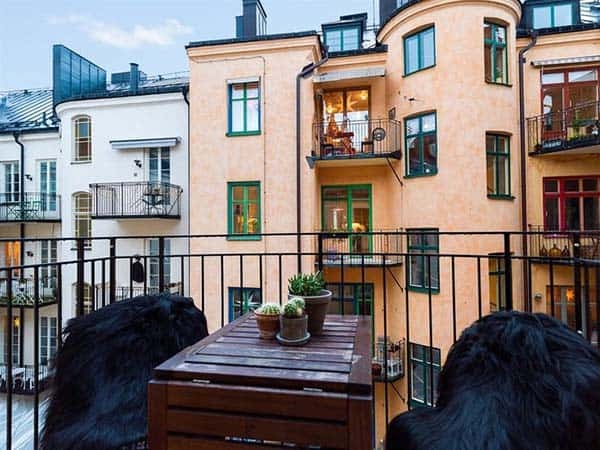 This super stylish Scandinavian loft duplex with turn of the century details is located in Kungsholmen, an island in Lake Mälaren, Sweden, part of Stockholm City. 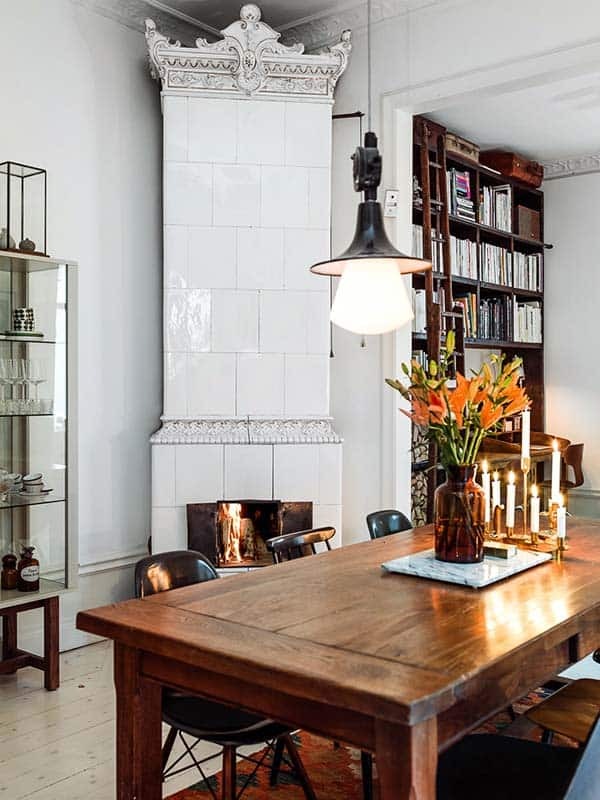 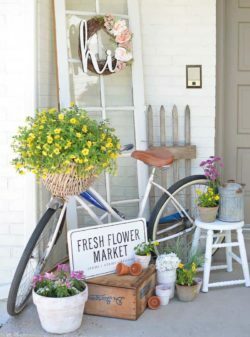 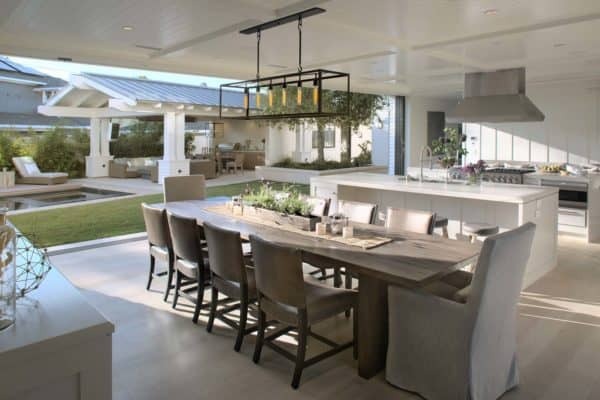 The interiors of the home overlooks a central courtyard with a cozy french balcony that faces the sunny west. 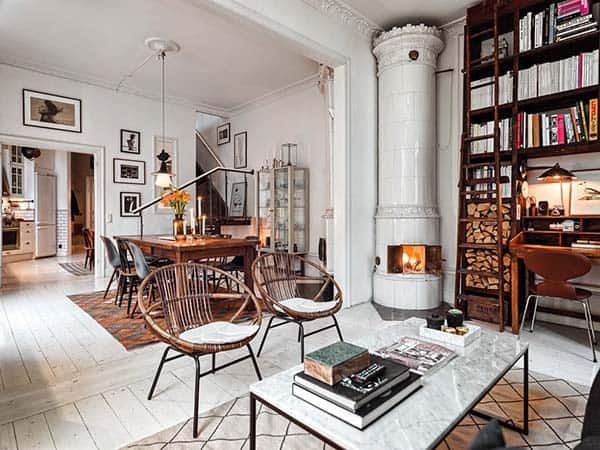 Comprised of 1,033 square feet (96 square meters) of living space spread out over two levels, with a living room, dining room, kitchen, two bedrooms, home office, two bathrooms and access to a roof terrace from the upper level. 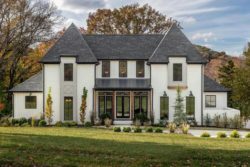 There are many stunning details showcased in this lovely inviting home such as two beautiful working fireplaces, wood beamed ceilings, crown moulding and whitewashed wide pine plank flooring. 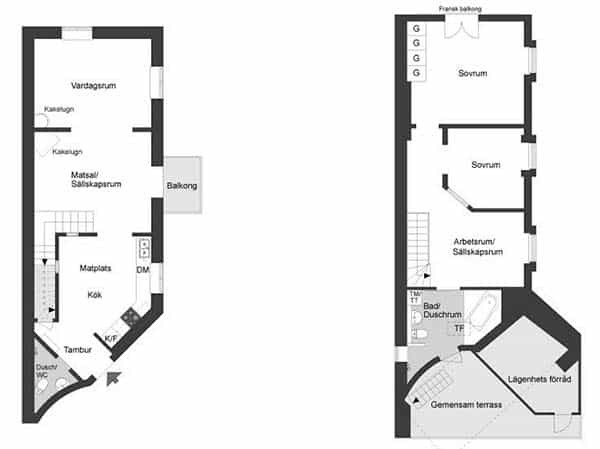 The spacious fully equipped kitchen is light and airy with a small breakfast area and window that looks out to the quiet courtyard. 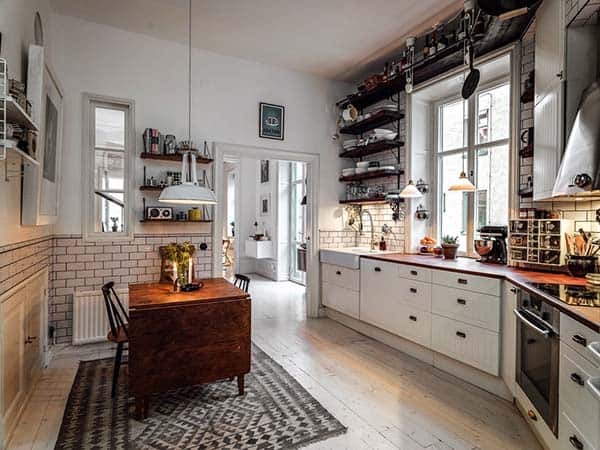 The kitchen has a nice flow into the open dining area through a large doorway. 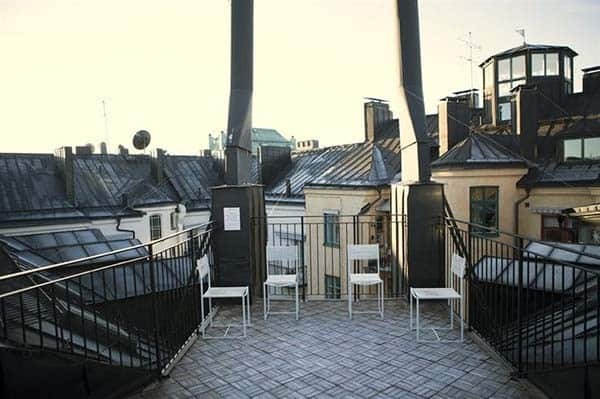 The staircase to the second level where the private zones are situated is located by the entry hall, which is also where one of the bathrooms can be found. 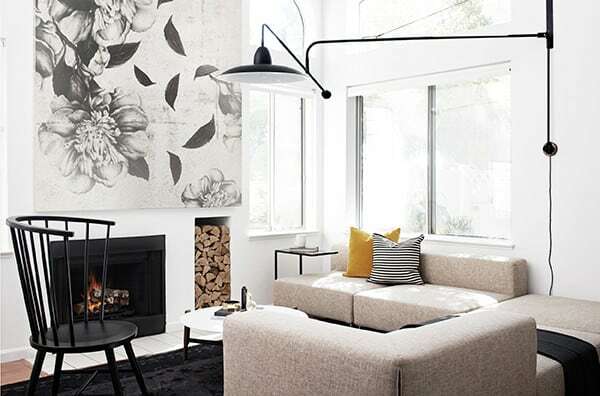 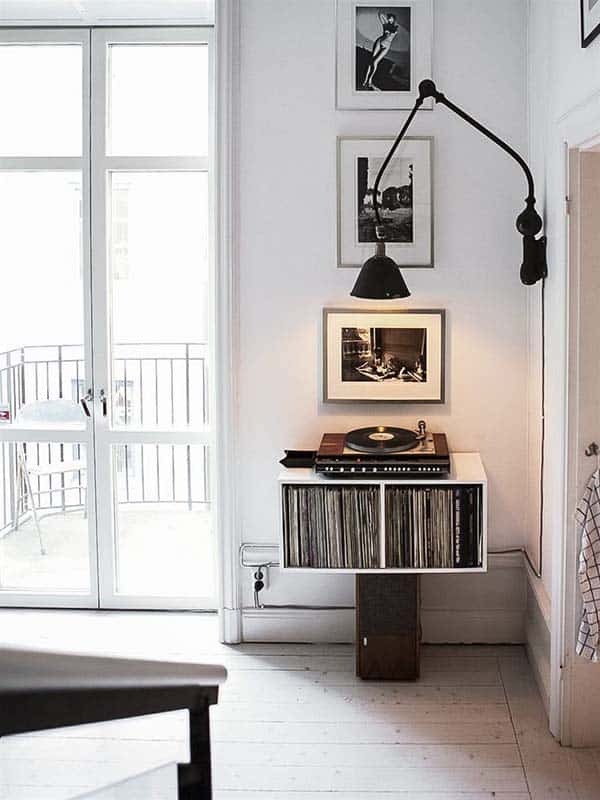 Loving Scandinavian style homes? 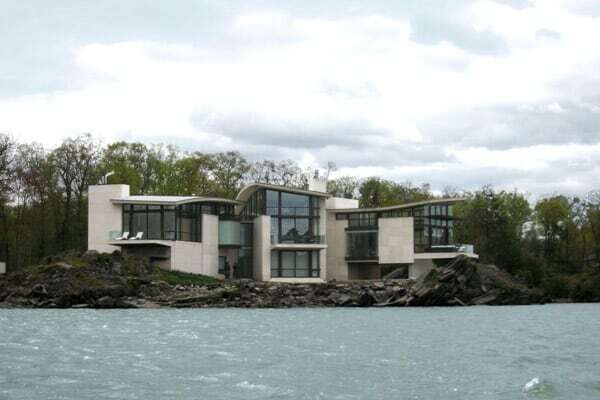 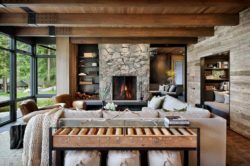 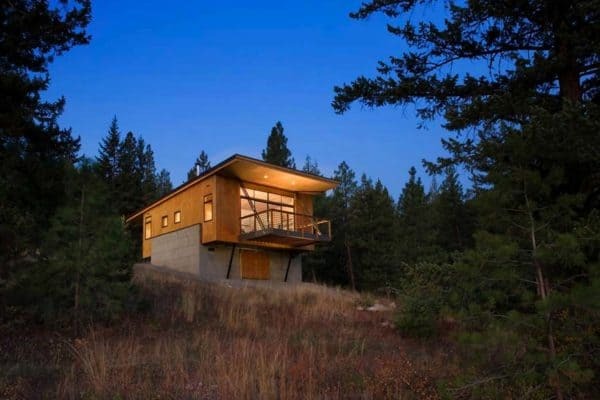 We have featured many here on 1 Kindesign and we would love to share a couple of favorites with you for further inspiration in case you missed them! 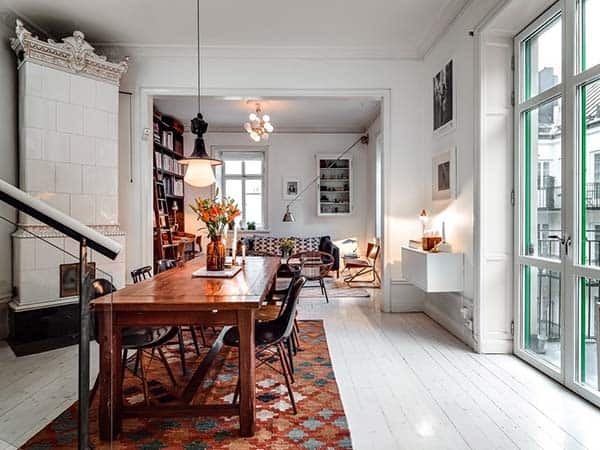 Exceptionally beautiful duplex apartment in Sweden and Beautiful Scandinavian interiors on Gotland Island.